Albany - Robert M. Cartmell, 85, died Tuesday, September 11, 2018, at his Albany home. He was born in Los Angeles and lived throughout the US with his military family. Following service with the US Air Force in Korea, Bob received his BFA at the University of Chicago and his MA and MFA from the University of Iowa. A Professor Emeritus of Art at the State University of New York at Albany, Bob had a distinguished career teaching printmaking, painting and drawing from 1971 -1998. He was an internationally recognized artist and a renowned authority on the history of roller coasters. According to Bob, riding a roller coaster was “the greatest thrill on this planet”. Bob is survived by his loving wife, Diana Westbrook, as well as a daughter, Lisa (Alan Brady) Cartmell, Campbell Hall, NY; a son, Bram (Banu Saracci) Cartmell, London, England; two grandchildren, Kayajan and Beren Cartmell and two brothers, William and Barry Cartmell. He was predeceased by a brother, Bernard Cartmell. A celebration of Bob’s life will be held at Albany Center Gallery 488 Broadway suite 107, Albany on Wednesday, October 24, 2018 from 5:30-7:30PM. 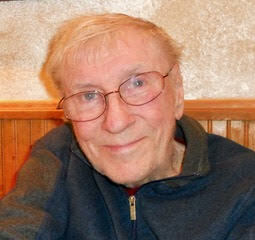 Contributions in his memory may be made to the Albany Center Gallery 488 Broadway suite 107, Albany, NY 12207. PLEASE NOTE CHANGE OF SERVICE DATE!